Need some adorable kid clothing to feature in your store? Check out AM PM Kids. Since 1977, their family has been highly recognized for quality and well designed gifts and apparel. You’ll find so much adorable items to feature in your store for that special kid in your customers’ lives. What will you find with AM PM Kids? Find towels, bibs, hooded bath towels, juice bibs, diaper covers, rompers, hats and even costumes. Each with a great design that will show off any little one’s personality! Adorable children clothes are always great product lines to carry in your store. Every parent loves dressing their children up in cute clothing that will display their fun little personality. What if there was a company out there that combined fashion trends with dazzling puppy designs? Your customers will be able to display their love for animals and unique fashion sense with Puppy Luv Glam. The inspiration for Puppy Luv Glam came from the love the owner had for her beautiful daughter and faithful pooches. When her daughter was young, she had a hard time finding cute clothing with a puppy motif. So, their company was born. All of their clothing are designed for girls and gals of all ages and they are even using part of the proceeds from their clothing and accessories to help puppies and dogs they love. Their clothes are fun and easy to wear and have a glamorous look. From sparkle with authentic Swarvoski crystals, glam to practicality, they accomplish both styles. It’s truly ideal for any girl’s busy lifestyle. Every puppy glam girl deserves to be spoiled and fabulous too! The Infants Collection features a black and white zebra print hoodie with an adorable princess pup that says Spoiled and Fabulous, a camo body suit, polka dot body suit, and a polka dot dress with the same cute pup. You’ll also find adorable tees, long sleeve thermals, tanks, and tank dresses. When shopping for accessories, you’ll definitely be able to complete the look with a crochet headband, crochet hat & bow, and adorable legwarmers. These accessories are musts to complete a fashionable look! Lets not forget that all of these items make for wonderful gift items. Just tie them up with a bow, pair them with some fashionable jewelry and your customers are all set. 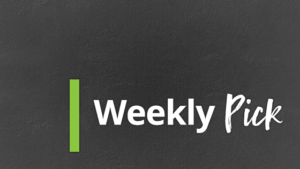 When planning products for your store, do you think about all of your customers? Do you think about various ages and what their style is like? You must include all types of customers in it. Children are sometimes overlooked. Parents love buying their children items and you also have customers who are looking for gift ideas. So, why not offer them great products from Sweet Petunia. 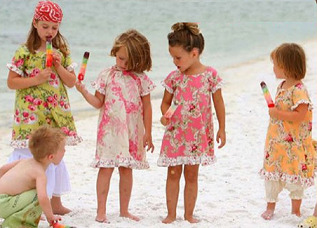 This wholesale supplier offers gorgeous children clothing that truly stands out. The kids in your store will definitely be fashion forward. Consumers love finding items that no one else has, and clothing for their children is no exception. They want them to stand out from the rest. Sweet Petunia will do just that. They offer adorable clothing and accessories for little girl and boys. Dressing up little girls is so much fun. 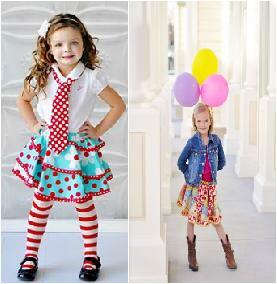 You can show off their fun and sweet personality through their clothes and even match it with the holidays. 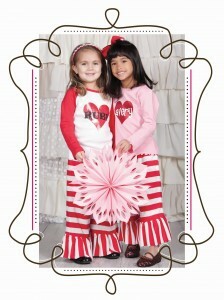 For Valentine’s Day, dress them up in candy striped flare pants and a monogrammed heart tee. If that’s not their style, they can wear a pink and red polka-dotted dress that’s too cute for words. Dress them adorable everyday in their cute t-shirts that feature big sister tees, vintage Little Bo Peep, monogrammed tees and shirts for funny little sayings like, “That’s How I Roll” with a wagon on it. Along with adorable clothing, they also offer fabulous accessories to match. Hair accessories, tights and headbands all complete an outfit. Fun bows, hats and clips are all so cute. They have everything from butterfly bows, caterpillar clips, polka dot bows, flower hats, feather headbands to rhinestone headbands. These definitely can complete a look. Don’t forget about the little boys. You’ll find fun t-shirts, monogrammed tees and holiday themed shirts that will match their adventurous personality. All of these items make great gift ideas, just pair them with their favorite playtime toy and your customers are all set. Your customer’s children will be the most fashion forward in town. 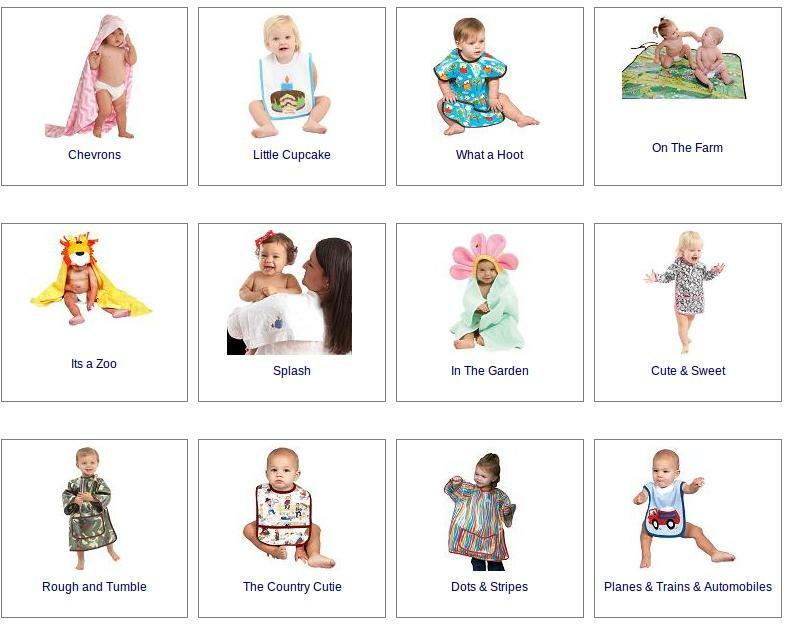 Sweet Petunia has the most adorable children clothing around. Kids will definitely be fashion forward throughout the entire year. What does every girl love to follow? No matter what their age or style, they have it in their life. So, what is incorporated into every girl’s everyday life? Of course, that would be fashion. Little girls, teens and women all enjoy incorporating the latest trends into their wardrobe and they expect to find it at your store. Even little girls? Yes, they enjoy looking fashionable just as well and will fall in love with Jelly The Pug. So, what is Jelly The Pug? This company is a wholesale supplier of fabulous little girl outfits. Being disappointed by what they saw on the shelves, their clothing line for children was born. You’ll find that they are consistent in offering quality to their valued customers. They continue to share the excitement of their line with as many children as possible. Always supplying high fashion garments at reasonable prices that others shy away from producing that you’ll be completely satisfied with each time. Dresses, skirts, pants and shirts in all different sizes is what they offer in fun prints and colors. Choose from vibrant prints in green, red, turquoise and pink. Along with the color and print, let the little girls choose their own style. A 3/4 sleeve length dress, gorgeous bell sleeved dress, lace up dress or a dress that features a fun bow on the back are just some of the styles they can choose from. Your Customers’ Kids Will Look Great In Clothing From Stephen Joseph Inc! Stephen Joseph Inc., a Lubbock Texas based provider of wholesale children’s clothes, has struck gold with their selection of kids clothing. If your customers are crazy about inventiveness, quality, design and style, direct them to your childrens clothing from Stephen Joseph Inc. Kids & Baby Clothes from Stephen Joseph, Inc.
Children seem to never stop growing long enough for their parents to catch up. This means that parents are constantly searching for new children’s clothing. As a parent, there are a lot of factors that go into buying kids clothes and Stephen Joseph Inc. hits the nail on the head for each one. Whether interested in comfort, convenience, a little growing room, style or eco-friendlyliness, Stephen Joseph Inc’s wholesale kids clothes satisfy all of these needs! From baby to teen, you’re covered when you buy wholesale kids clothes from Stephen Joseph Inc.
Any new mom knows that a wide variety of baby clothes are out there. A store owner has a wide selection of wholesale baby clothes to choose from so selecting the best ones can be tedious. Neither parent nor store owner wants to sift through the thousands of options and few rarely have the time. Stop looking. Stop searching. Start finding. Stephen Joseph Inc. has what both want and need with the designs, styles, and features that make them leap out ahead of the rest. Trendy baby clothes and clothes for toddlers are always in style with hip parents. Parents that love haute couture, high quality fashions, and their children will adore the baby clothes from Saige Nicole’s baby boutique. What options does a parent have if they want their baby or toddler dressed in high-style but easily accessible kids clothing? Well Saige Nicole’s brings a whole kaboodle of great choices to your store! From there, it’s as easy as picking out the right size. Don’t forget about mom and dad! While they pick up clothing for their baby, they can also grab stylish diaper bags, funny shirts about parenting and other sporty accessories that make being a parent a stylish part of life. Check Out The Most Freewheeling Little Girls Clothing Ever! 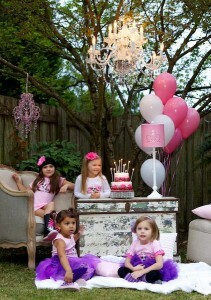 The little girls clothing from Angela Frost must be the most endearing pieces ever. Each piece of wholesale clothing gives the look and feel of a little girl who is free to laugh, love, live and play. The cute little girl who wants to look adorable while swinging will love this clothing just as much as the prim and proper young lady enjoying an afternoon tea with her teddy bears. The best things in life are our children. Providing kids clothing that they like becomes more than a need as they grow older. Once baby girls blossom into little ladies, accessorizing and comfort play the largest role. Have a mother or father who shops with their little girl? You’ll love having Flutter By Basics, Flutter By Leggings and Black Tie Flutter By clothing for them. Why? Because they will love how the pieces come together to form an even more perfect little sweetheart.